Altavoz empotrable. 3 vias, 5 ohmios. Tecnologia ATF. Precio unitario. Producto de alta calidad sonora. At best, typical in-wall speakers are boring (and often they're much worse than that). So we designed Voyage to be a sort of "anti-in-wall," the antithesis of ordinary. Sonically, few speakers, regardless of type, can compete, because Voyage incorporates some of our most refined technology. 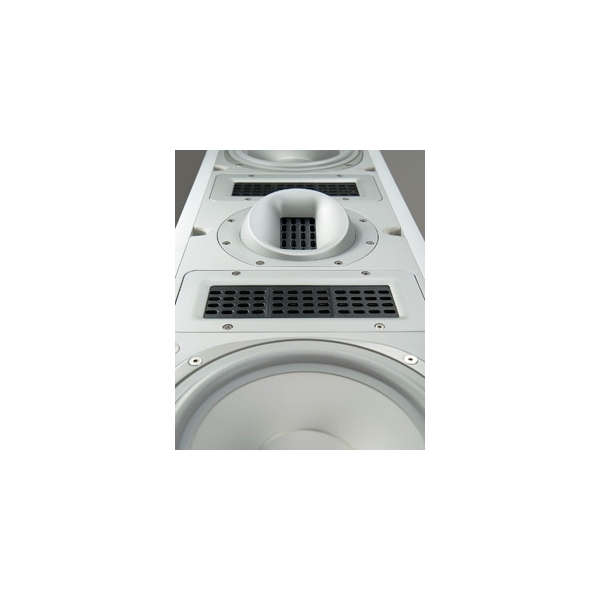 Advanced Thin Film drivers, high-resolution aluminum-cone woofers, and a sophisticated Vojtko™ crossover constructed of the highest-quality components, such as massive air-core coils, thick, high-purity copper wire, and low-distortion polypropylene capacitors, ensure that every nuance of the audio signal is preserved. 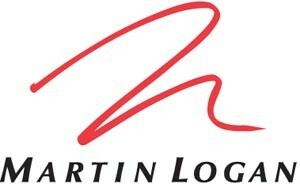 Relaxed yet dynamic, smooth yet precise and detailed, Voyage's sound is classic MartinLogan from top to bottom. As is its appearance. The speaker's graceful, elegant lines create a sense of architectural integration, while paintable end caps and a selection of grille colors allow easy adaptation to any décor. An extremely robust mounting-lock system allows quick, trouble-free installation. When not in use, the constant-control, die-cast mounting locks are held securely within a self-contained housing. 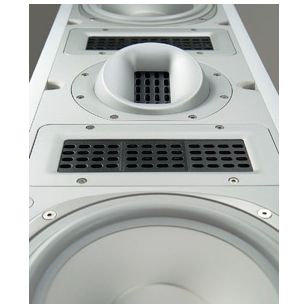 When moved into place during installation, they couple the speaker's rigid aluminum chassis firmly to the wall. And if the speaker is ever removed, the locks retract and latch themselves back in their housings. Each Voyage speaker comes with a rigid, full-size installation template that features a handle, quick-reference instructions, and die-cut guides for marking the cutout hole. To minimize installation-site clutter, the Voyage is boxed so that parts are removed from the shipping container in the order in which they are needed – first the template, next the speaker, and finally the grilles. Based on RADIA planar technology, high-resolution ATF™ drivers approach the clarity and detail of our electrostatic panels while permitting the use of a compact cabinet. Each MartinLogan ATF transducer has a micro-thin, low-mass diaphragm with an ultra-light, etched aluminum conductive surface, suspended between two opposite-polarity, high-field-strength neodymium magnet arrays. When the electrical audio signal from an amplifier passes through the diaphragm's surface, it creates an alternating electromagnetic field that interacts with the fields of the fixed magnet arrays, forcing it back and forth to produce sound waves in the air. The strength and polarity of the diaphragm's field varies according to the audio signal. Like our electrostatic panels, ATF drivers are push-pull transducers: When the diaphragm's field polarity is the same as that of the magnet array on one side, pushing them apart, it is the reverse of the polarity on the other side, pulling it toward that opposing array with exactly the same force. This mode of operation is inherently linear. Another similarity to electrostats is that the diaphragm is driven uniformly over its entire surface, rather than at just a small contact area as in a conventional cone or dome driver. These two characteristics ensure precise, accurate reproduction with vanishingly low distortion. The diaphragm substrate is Dupont Kaladex® PEN (polyethylene napthalate). This material is chemically akin to the PET (polyethylene terathylate) film used for the diaphragms of our CLS™ Generation 2 electrostatic panels, but capable of handling the heat generated by the current passing through an ATF diaphragm's thin aluminum skin. By eliminating cone flexure, aluminum diaphragms help our advanced-technology woofers achieve the very low distortion necessary for proper blending with MartinLogan electrostatic panels. Carefully hand-built using only the finest polypropylene capacitors and air-core coils, the crossover employ's MartinLogan's proprietary Vojtko topology for vanishingly low distortion and seamless driver integration. This precision-tuned network preserves even the most microscopic sonic nuances while handling the full dynamics of any source. Extruded and milled, Voyage's aluminum chassis and 1-inch-thick MDF (medium-density fiberboard) front baffle are so rigid that they actually stiffen the wall in which the speaker is installed, minimizing acoustically destructive vibrations. The benefit is very apparent in Voyage's exceptionally deep, tight low-frequency reproduction. Paintable end caps and a selection of grill color options endow the Voyage with the flexibility to complement any décor. Voyage can be installed vertically or horizontally, and its tweeter alignment sphere allows up to 20° pan and tilt and up to 90° rotation, for incredible adaptability in any location or environment. Voyage is suitable for any application in any audio system, whether stereo or multi-channel. And because it blends well with other MartinLogan speakers both sonically and cosmetically, you can mix and match however you like to meet specific installation requirements. 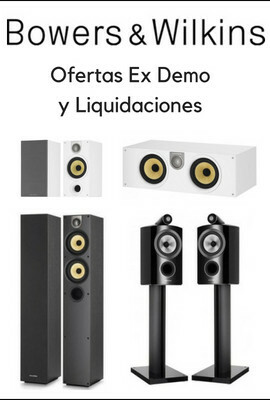 Altavoz para empotrar en techo . Ideal para aplicaciones de sistemas de audio virtualmente invisibles con máxima calidad de sondido . Incluye tecnología stereo Everywhere. Sencilla instalación. Sus abrazaderas se fijan al techo y su rejilla se encaja mediante imanes . Incluye 2 tweeter de 2,54cm y un woofer de 17,8cm. Excelente respuesta en graves. Acabado de la rejilla en formato redondo. Precio Pareja. Altavoz empotrable 2 vías, cono fibras entrelazadas. Selector Ecualización. Ancho del marco 240mm. Precio Pareja. IN CEILING - Pareja de altavoces de empotrar, se incluyen dos unidades. Dimensiones -> 235,4 x 123 mm. Las rejillas se pueden pintar del mismo color del techo.